The Chamber's 2017 4th of July Celebration promises to be the best ever! 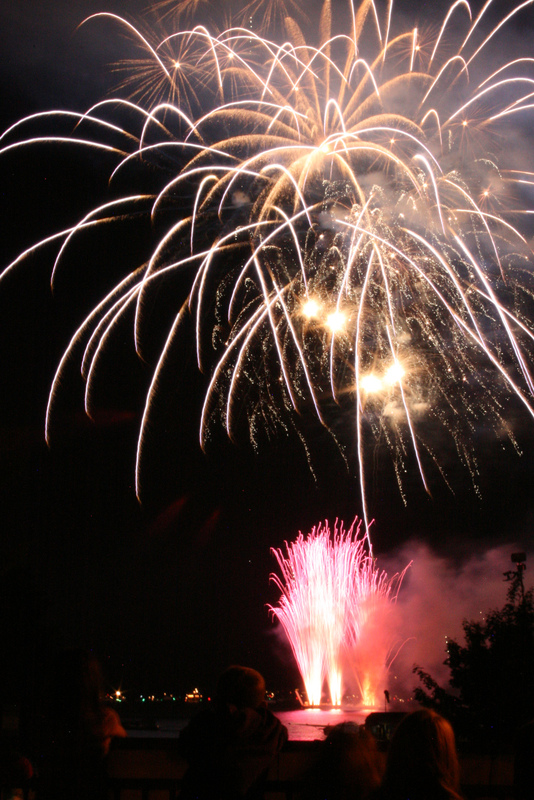 Spend your holiday in beautiful Coeur d'Alene, Idaho for the region's largest 4th of July Festival! The day kicks off with the American Heroes Parade on Sherman Avenue. After the parade, spend the afternoon in Coeur d'Alene City Park and enjoy great food and live music! Then, stay to watch North Idaho's largest fireworks display Downtown over Lake Coeur d'Alene at dusk, which can be seen for miles along the lake shore. We need your support to keep those sparklers in the sky. Please; consider donating to this wonderful community event. We designed several donation levels to help you get the most bang for your buck! Your photo and logo: in the Coeur d'Alene Press, on the Chamber's website and Facebook page, a spotlight ad in Chamber's newsletter, an entry in the parade, and 4 tickets (or more) to view the fireworks from the Chamber's private patio. Your photo and logo: in the Coeur d'Alene Press, on the Chamber's website and Facebook page, an entry in the parade, and 4 tickets to view the fireworks from the Chamber's private patio. Your photo and logo: in the Coeur d'Alene Press, on the Chamber's website and Facebook page. A "Thank You" mention in the Coeur d'Alene Press, on the Chamber's website and Facebook page. Parade: PLEASE NOTE! New, earlier start time: 10:00am, 15th & Sherman to Govt. Way. Festival: City Park, all day into the evening. Fireworks: Coeur d'Alene Waterfront, 10:00pm.